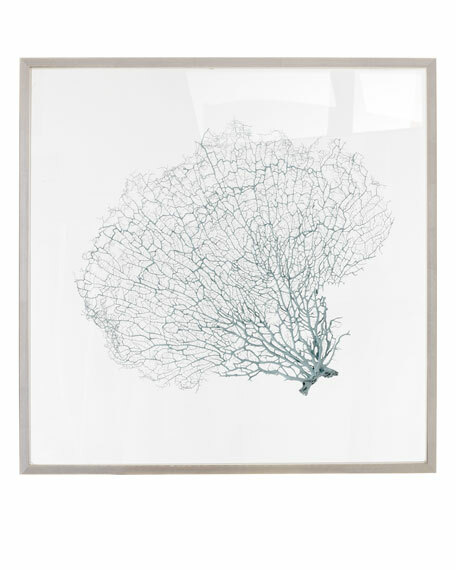 Softly colored, naturally intricate, this delicate sea fan adds coastal mystique and texture to any room. 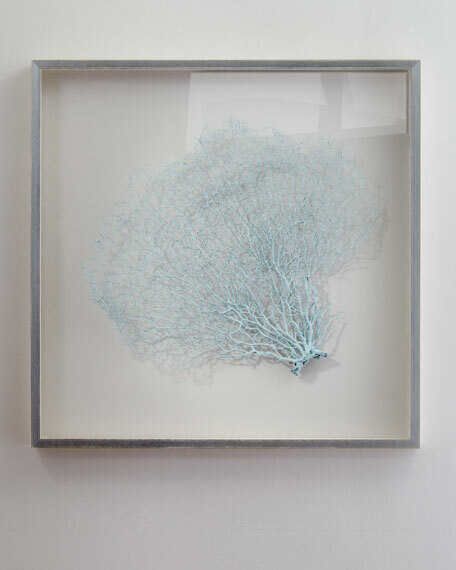 Handcrafted of dried sea fan harvested from the ocean suspended between clear acrylic panels so that the wall color shows through. Variations in color, voids, irregular shapes, chips, and flaking may occur. Silver and white wood frame.